Free Wi-Fi, spacious suites, an 'Instagram wall' and enough literary quotes to fill a small volume... welcome aboard the new W.B. Yeats "cruise-ferry". Wanna get paid over €2k per week to visit glaciers in Alaska, go white water rafting in Norway or ride an urban zip wire in Dubai? We've had waterparks, surf simulators and 'Ultimate Family Suites' with twisty slides connecting stories. What can cruise ships possibly offer next? How to choose a cruise: Which line is best for budget, luxury, families or adventure? Celebrity Edge: What's it really like on board the $1 billion cruise ship with its own 'Magic Carpet'? Cruise line MSC is entering the 'ultra-luxury' market with a €2 billion order for four state-of-the-art boutique cruise ships. Cruises can be a sweet fit for solo travellers - offering a safe environment with lots of socialising, activities and excursions under one ticket. The 315m MSC Meraviglia returning to Dublin today is the largest ever ship (by passenger capacity) to dock in the capital. After a multi-million euro makeover, Royal Caribbean's 'ultimate family ship' is back. The 316m MSC Meraviglia will break records this Saturday as the largest ever ship (by passenger capacity) to dock in Dublin Port. The idea of being stuck out at sea surrounded by the typical stereotype of 'cruise lovers', didn't exactly scream 'dream holiday' to me. A cruise ship more than twice the length of Croke Park is docking in Dublin today (Sunday) - and it will 'home port' in the city for several weeks. Symphony of the Seas: What's it really like on the world's biggest cruise ship? Ireland is set for its 12th successive year of cruise liner growth with Dublin and Cork now rivalling such famous liner ports as Naples and Monaco. One of the world's most famous cruise ships, the legendary Queen Elizabeth 2, is setting sail on a new chapter in her history. Baby's First Holiday: What's it like to cruise on a Disney ship? Private islands, bungee trampolines and the ultimate family suite - is this the future of cruise? A new collection of private islands? Specialised pool spaces and "ultimate" family suites? An entirely new class of cruise ship? Think cruising is all about buffet grazers and the blue-rinse brigade? Think again. Caribbean Dream: Is cruising really all it's cracked up to be? 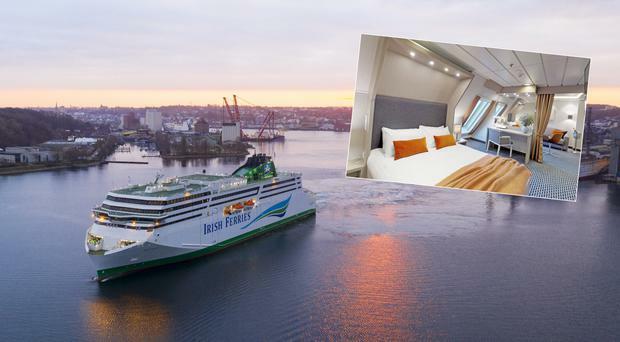 The keel has been laid on Irish Ferries' new, €144 million cruise ferry in a shipyard at Flensberg, Germany. I felt there was a touch of serendipity to my impending trip on the River Danube aboard SS Maria Theresa. My middle name is Marie Therese. Enough said. A Danube river cruise is small but perfectly formed, says Bairbre Power. When you dream of a cruise holiday, do you picture yourself surrounded by 6,849 fellow passengers? Cocktails, Suites and Vietnam's Halong Bay - Who says cruising is dull? Small, luxury cruises mean shorter lines, sumptuous food and spoilt-rotten passengers, says Kirsty Blake-Knox. You can get a surprisingly rich Greek island immersion on a short trip with Celestyal Cruises, says Isabel Conway. MSC Cruises has firmed up an order on two cruise ships capable of carrying 6,850 passengers apiece, it says. Sometimes you find yourself thinking about money, which is exactly what I'm doing while looking up at the €300m Silver Muse, Silversea Cruises' new flagship, which is docked in Marseille in France. "We do crystal ball gaze and we do ask our customers what they want, and Ireland is what they want," says Lisa Lutoff-Perlo. One of the world's most decadent ships kicked off Dublin's 2017 cruise season as it made its maiden visit to the city port. Celebrity Cruises is bringing its X-Factor to Dublin today, in the shape of a maiden visit for the giant luxury liner Celebrity Eclipse. What better way to celebrate the first day of a new month than with a jaw-dropping, future-of-cruise announcement? Royal Caribbean’s Symphony of the Seas will be the world’s largest cruise ship when it is delivered in April 2018, the cruise line has confirmed. QM2: What's it like to sail across the Atlantic on Cunard's greatest ship? Crossing the Atlantic is one of the most dramatic ways to reach New York. Karen Bowerman takes the remastered QM2. Disney Cruise Line will be enchanting guests with calls to Dublin and Cork during its 2018 summer season. Ireland's favourite cruise line - you voted, and here's the result! Cruise holidays are more popular than ever for Irish people… but which cruise line is your favourite for 2017? Like to cruise, but hate to fly? Or just fancy setting sail from Dublin's doorstep? Your time is coming. Leading cruise site CruiseCritic.co.uk has announced the winners of its annual Editors' Picks Awards for 2016. Cobh is the second-best cruise port in Western Europe, according to readers of one of the world's top cruise websites. An analysis of over 600,000 cruise price reductions claims to reveal the cheapest day of the week for booking a cruise. Royal Caribbean is offering free flights and transfers on select UK and European sailings... but you need to be quick. Celebrity is betting its X-factor will give it the edge with Irish cruisers, says Pól Ó Conghaile. 'Celebrity Constellation' is based in Abu Dhabi this winter - combining ocean, city and desert in one terrific trip. 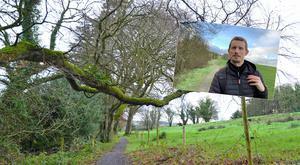 Walk the Ben Bulben Forest Loop - it takes just 1.5 hours! WATCH: Heard of Ireland's twin towns? Check out Killaloe and Ballina for your next trip! Top 10 toddler-friendly breaks: An Irish mum's insider tips! Top 20 rainy day activities in Ireland - weather-proof ideas for all ages! Ireland is a grand country, if only we could roof it.